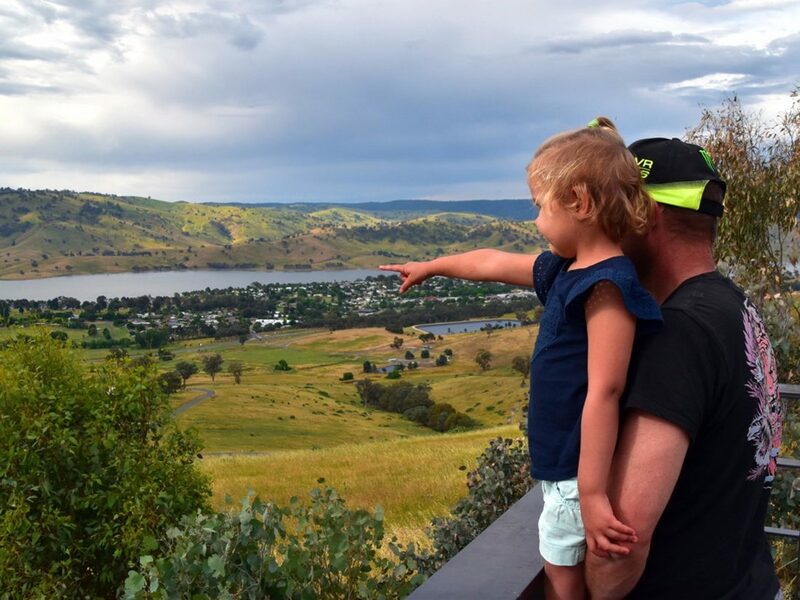 Located just off the Murray Valley Highway, on the outskirts of Tallangatta, the Tallangatta Lookout offers you magnificent views of Tallangatta township below, Lake Hume and the Sandy Creek Bridge. Come up and take some photos, take in the view or bring up a picnic and just relax. There are picnic tables, a lookout platform and an undercover area.